This letter was written by 20 year-old Pvt. 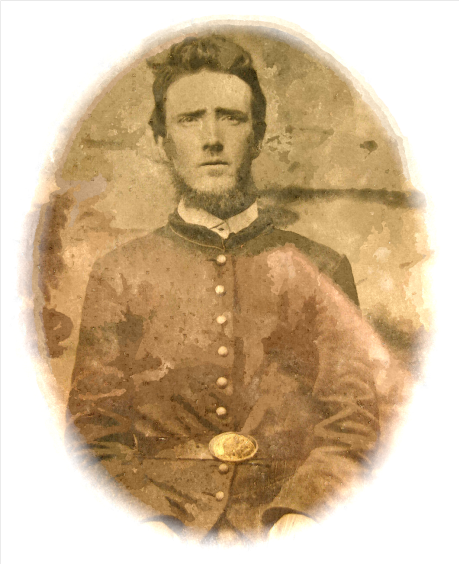 Levi McLaughlin (1844-1915) who served 9 months in Company I, 122nd Pennsylvania Infantry from August 1862 until May 1863. He then joined Company L, 3rd Pennsylvania Heavy Artillery, where he served from 9 March 1864 until 9 November 1865. Levi was the son of Benjamin McLaughlin (1796-1881) and Maria ____ (1805-18xx) of Salisbury, Lancaster County, Pennsylvania. 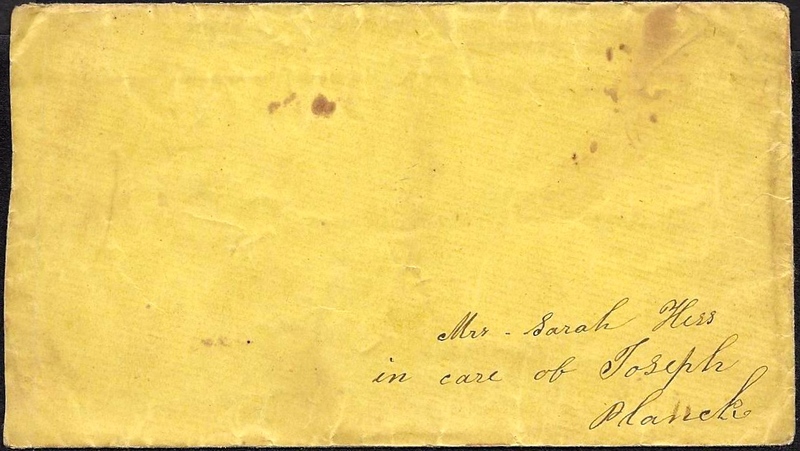 He wrote this letter to his sister Sarah (McLaughlin) Herr (1835-19xx). He mentions his younger sister, Emma McLaughlin (1847-18xx) in the letter. In 1874, Levi married Kezia E. Nixon (1848-1923). Levi did not mail the letter to his sister; rather he handed it to his boyhood friend Joseph Plank (1840-19xx) who hand carried it home. Joseph was the son of John and Charity Plank and was a member of Company I, 3rd Pennsylvania Heavy Artillery. I take this opportunity of letting you know that I am well and hope these few lines may find you all the same. I just come from Camp Hamilton. I was there to get my likeness taken on purpose to send to you for you wanted it before but I never got it taken. Louisa wanted me to send her one but I only got one taken so I thought because you had asked for it first, I would send it to you. But I will get my photographs taken when I get my dress hat if I am here yet. I got a letter from little Em after I commenced to write this. If you see her, tell her I will answer in a few days and send her my picture when I get it taken. I received Louisa’s letter yesterday and sent one to mother and put five dollars in it. Tell her to write if she got it or not and you must write and tell me if you got this. How is Sarah Emma? How do you like your place? Did you ever get any money from George Wilson? He didn’t cheat me out of my bounty anyhow for I got sixty for it already. I have not got my discharge yet but I think maybe I can get the full bounty anyhow. I am as contented here as if I was to home. We get plenty to eat and a good place to sleep and nothing to do but drill yet. But we had to drill pretty hard this week. we drill with out muskets now. We drilled heavy artillery once and expect [to] drill it again this evening. I like it better than infantry but still it is pretty hard work heaving them big guns about. Well, I must bring my letter to a close hoping these few lines may find you all well. Have you heard from Mike lately, or John, since Julia heard? I expect George will be gone back to the army before you get this. I got his likeness but I would rather see him myself. This entry was posted on Saturday, September 13th, 2014 at 5:14 pm	and posted in Uncategorized. You can follow any responses to this entry through the RSS 2.0 feed.